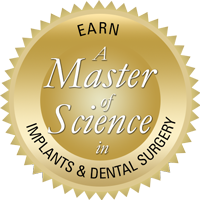 Gain the robust knowledge and practical skills needed to successfully and confidently place implants. Learn from worldwide leaders in the field of Implants as you work side-by-side with them in hands on workshops and learn from their years of clinical experience through engaging lecture. You will learn everything from the fundamentals of diagnosis and placement to the more advanced techniques that deal with severe anatomical limitations. Successful completion of these seminars guarantees your admission into the Master’s Degree program at the International Medical College in Germany. Blend online learning with live patient implant placement in Germany and Hungary to earn an internationally accredited MSc Degree from 6 prestigious universities. Learn more about our Master's Programs and Local Training! © 2013 McGann Postgraduate School of Dentistry. All Rights Reserved.